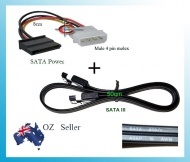 Converts SATA power to 2 of Molex 4-pin power. 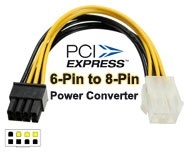 Suitable for all ATX power supplies. 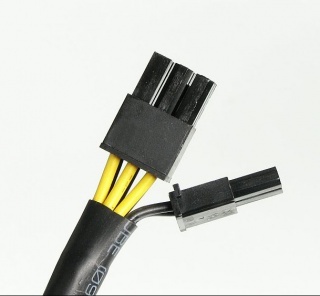 Splits one molex connector into two. 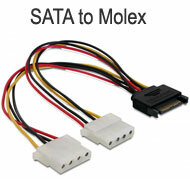 Converts 1x Molex (4-pin) plug into 2x SATA (15-pin) power connectors. 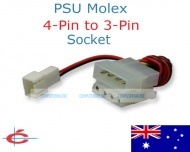 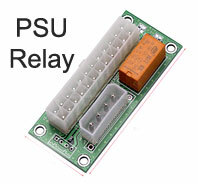 Suitable for older ATX PSU which don't have the extra P4 12V power connector. 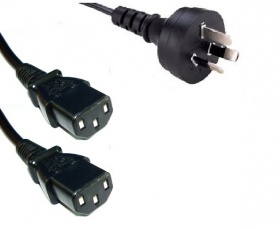 Power cord to connect from wall to AC adapter for the laptop. 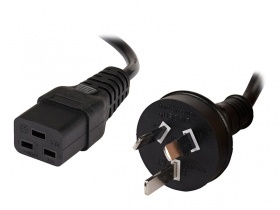 Suitable for most laptops. 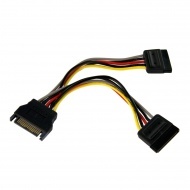 SATA power cable 1-in (male) to 2-out (female). 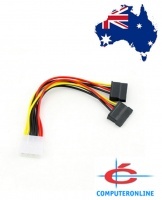 Roughly 19cm long. 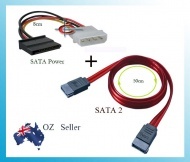 Astrotek SATA Power Adapter, Converts 15-pin SATA Power Plug to 4-pin Molex Power Plug, works with any new SATA only power supply. 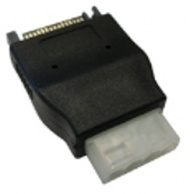 Special 15-pin SATA power female connector to... more standard molex 4-Pin for all older IDE/ATA devices including hard drives and optical drives. 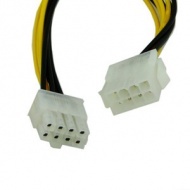 Output power cable for UPS and some older PC systems. 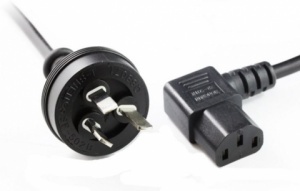 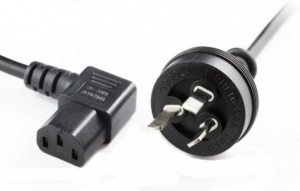 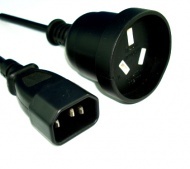 Specialist power cord for high end power supply units.